When those first fat drops of summer rain fall to the hot, dry ground, have you ever noticed a distinctive odor? I have childhood memories of family members who were farmers describing how they could always “smell rain” right before a storm. Of course rain itself has no scent. But moments before a rain event, an “earthy” smell known as petrichor does permeate the air. People call it musky, fresh – generally pleasant. This smell actually comes from the moistening of the ground. Australian scientists first documented the process of petrichor formation in 1964 and scientists from the Massachusetts Institute of Technology further studied the mechanics of the process in the 2010s. Petrichor is a combination of fragrant chemical compounds. Some are from oils made by plants. The main contributor to petrichor are actinobacteria. These tiny microorganisms can be found in rural and urban areas as well as in marine environments. They decompose dead or decaying organic matter into simple chemical compounds which can then become nutrients for developing plants and other organisms. A byproduct of their activity is an organic compound called geosmin which contributes to the petrichor scent. Geosmin is a type of alcohol, like rubbing alcohol. Alcohol molecules tend to have a strong scent, but the complex chemical structure of geosmin makes it especially noticeable to people even at extremely low levels. Our noses can detect just a few parts of geosmin per trillion of air molecules. During a prolonged period of dryness when it has not rained for several days, the decomposition activity rate of the actinobacteria slows down. Just before a rain event, the air becomes more humid and the ground begins to moisten. This process helps to speed up the activity of the actinobacteria and more geosmin is formed. 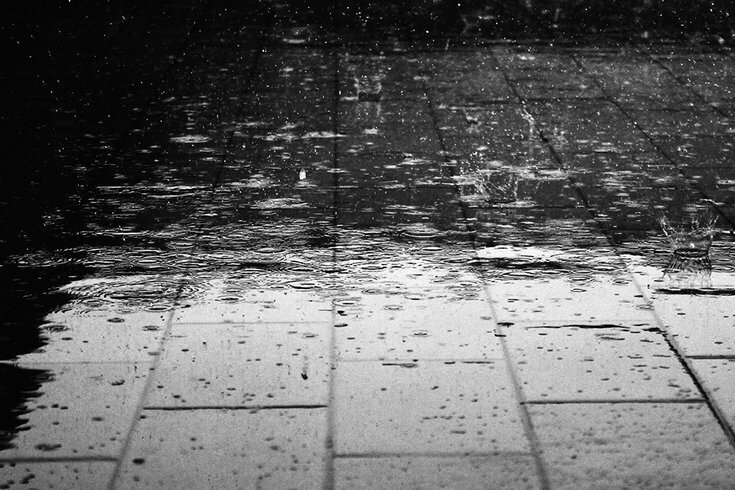 When raindrops fall on the ground, especially porous surfaces such as loose soil or rough concrete, they will splatter and eject tiny particles called aerosols. The geosmin and other petrichor compounds that may be present on the ground or dissolved within the raindrop are released in aerosol form and carried by the wind to surrounding areas. If the rainfall is heavy enough, the petrichor scent can travel rapidly downwind and alert people that rain is soon on the way. The scent eventually goes away after the storm has passed and the ground begins to dry. This leaves the actinobacteria lying in wait – ready to help us know when it might rain again.